Galleria Salon and Spa is better known as Salon & Spa Galleria, with ten convenient locations in the Fort Worth area and more on the way. Give us a call at (817) 823-7105 and find out what we can do for you. 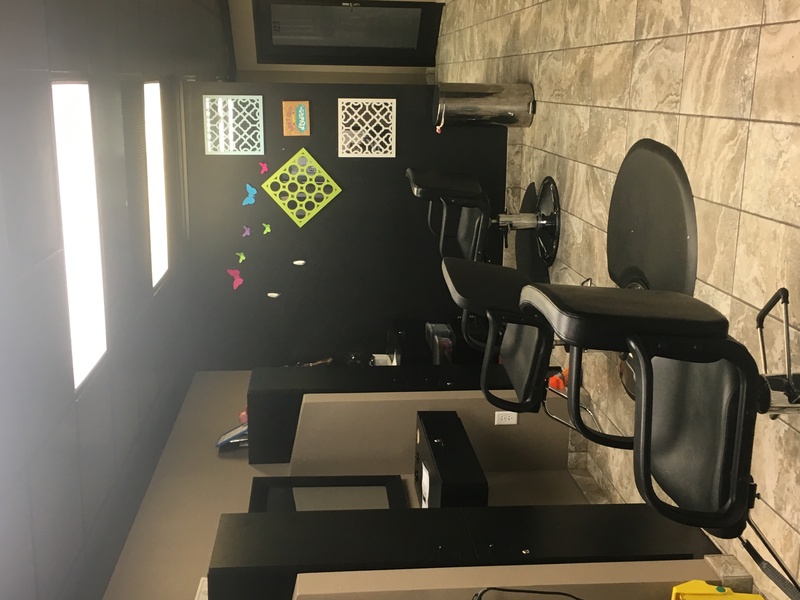 Are you looking for a salon booth rental? Salon & Spa Galleria is the place for you! Are you looking for a chance to be financially independent so you no longer have to work at a beauty salon? How quickly can you contact us? Do it now! Why settle for a chair rental . . .
Why settle for a salon chair rental when you can have a booth rental for as low as $50 per week? Booth rental vs commission is really no choice at all. The first gives you a chance at financial freedom; the second means more years of paying a salon owner the majority of the profits, profits you earned. Like we said, really no choice at all; booth rental is the only option open to you. Break room with fridge, microwave, dishwasher, sink, and seating area. And Salon & Spa Galleria is locally owned and operated, meaning if you have a problem, the solution exists in the town you are working; it also means if you succeed we succeed, so your best interests are always in the forefront of our thinking. Can you really afford not to check out Salon & Spa Galleria, or if you prefer, Galleria Salon and Spa? Who can benefit from the Salon & Spa Galleria business model? Health and beauty professionals, including hair stylists, nail technicians, massage therapists, spa professionals, and skin treatment experts, all are currently working in one of our luxury booth rentals, and all are thriving. The $50 per week booth rental fee should tell you one thing about Salon & Spa Galleria: we want you to succeed! We believe in small business. We believe small businesses are the backbone of any commercial area, and an economy is only as healthy as its small businesses, so we do everything in our power to provide you with the tools you need to succeed. What do you say? Is Salon & Spa Galleria for you? There’s only one way to find out and that is to contact us, or visit one of our ten convenient locations in the Fort Worth area. The longer you wait to do so, the longer you have to wait for financial freedom. About Salon & Spa Galleria . . . Owned by Fort Worth entrepreneur Ron Sturgeon, a rags-to-riches local boy who scratched and clawed his way to the top of the Fort Worth community. Salon & Spa Galleria is just one of many business interests owned by Mister Sturgeon including Box Office Warehouse Suites in the Alliance area of unincorporated North Fort Worth, where you will find one of the Salon & Spa Galleria locations.